Black and white doesn't have to be boring. It's the small details that make this interesting. It was 82 degrees here yesterday! What a perfect day. My only complaint is that we waited all summer for that kind of day- and now that summer is over, we finally get it. Seriously! 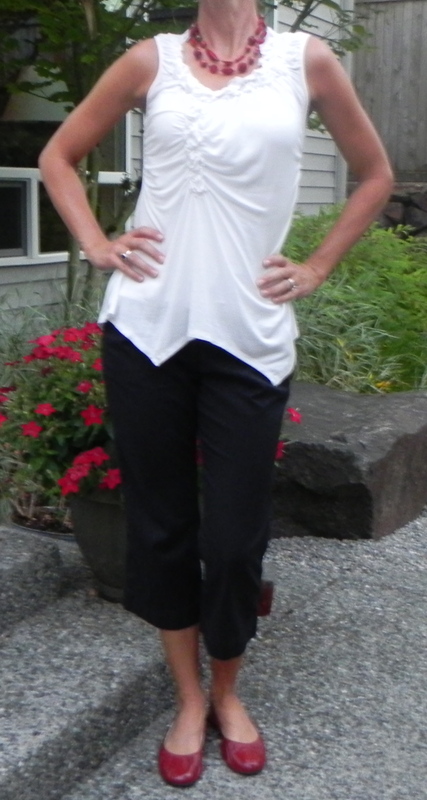 Today is supposed to be another hot one, so I am wearing a sleeveless top and cropped black capris. Since my outfit is black and white- I decided to add a little pop of color with red shoes and a red necklace. The other thing that keeps this outfit interesting is the asymmetrical hemline of this top. It also has a gathering detail that adds interest and the flowy fabric is perfect to hide my tummy. 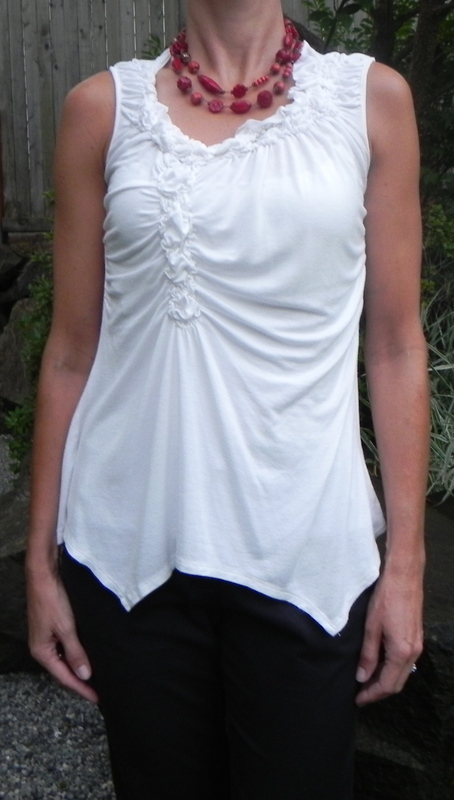 I love the hemline and gathers in this top. The red shoes from Target add a pop of color. And they are comfy!